It was 8am and not long after the trek down a step trail into Smith Rock State Park, that I spotted my first new friend. I know he was aware of me as I positioned myself slightly upstream from where he was perched on a perfect, slimy green rock. 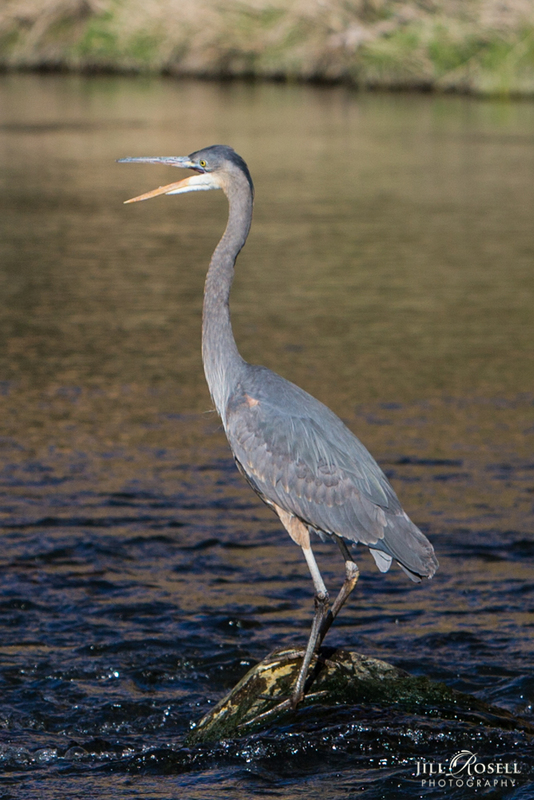 The Great Blue Heron is a majestic sight. 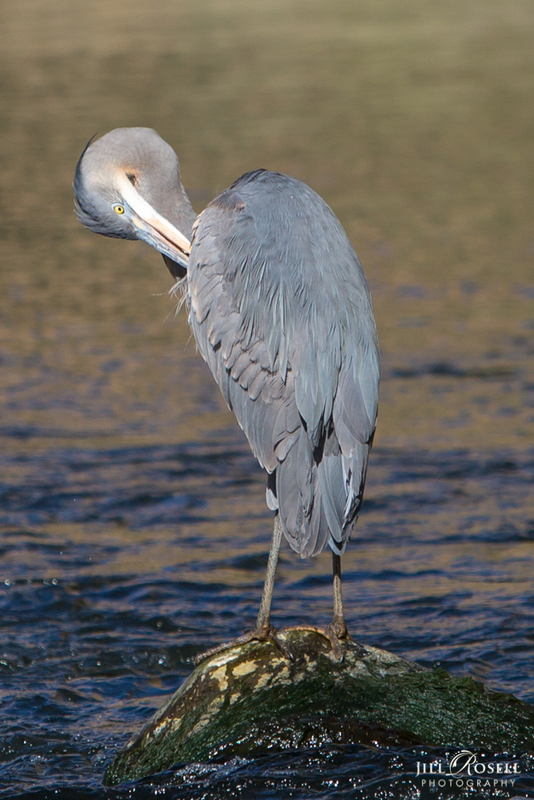 This stately heron with its subtle blue-gray plumage, stood motionless as it scanned for prey and later waded belly deep with long, deliberate steps. 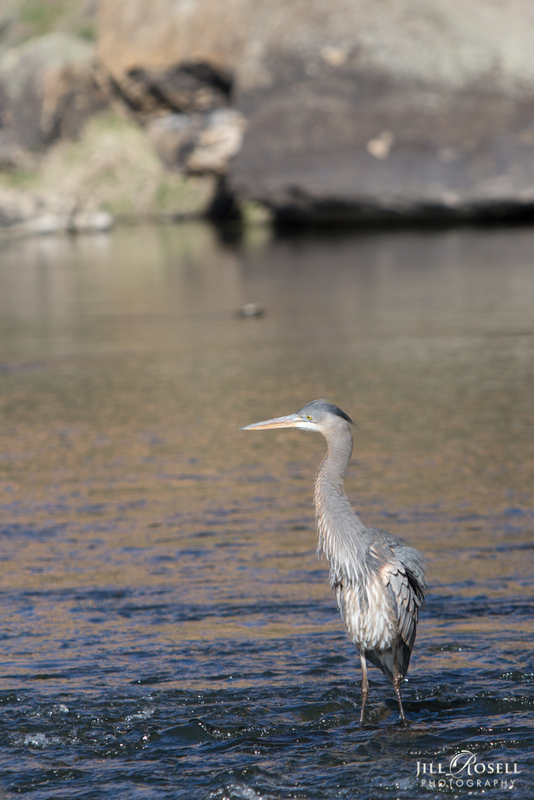 He moved slow but when the long awaited moment came, this Great Blue Heron struck like lightning and grab a fish. It took almost an hour before I was blessed to capture this amazing moment. Patience paid off! While waiting for him to obtain breakfast my camera and I became absorbed with his bodily details and movements. Eventually he went on with his day and I thanked him and headed off down trail to find my next new friend. I was satisfied and gratefully to this Heron who let me connect with him. © 2019 Jill Rosell Photography|ProPhoto Photography Website | Designed by That's Kinda Cool!